This was a new one on me, but we were happy to help! Our customer needed a logo cut from plastic to use when they poured a rubber floor in an athletic facility. The rubber would be poured around the shapes we provided, and when the shapes removed, leave a cavity in the rubber floor. Which, I suppose, will then be filled with rubber of a different color to leave a level floor with the logo in it. 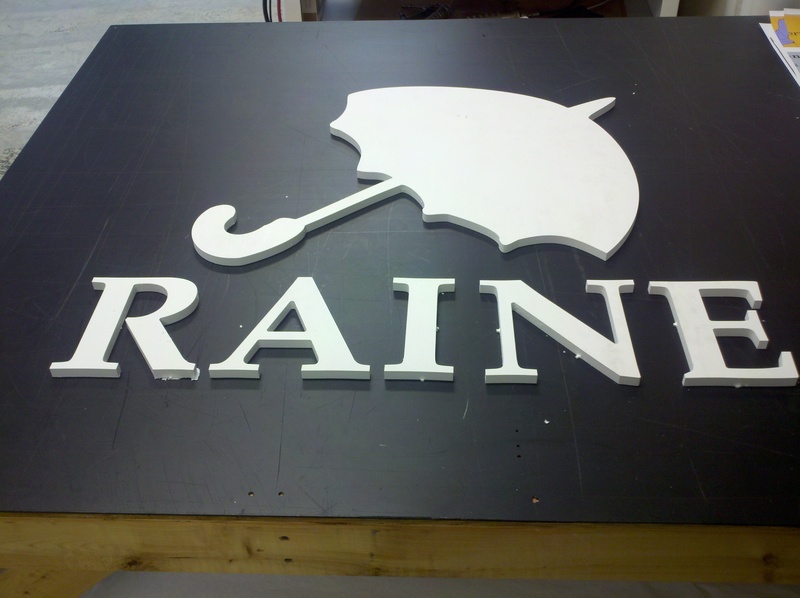 We started with a pdf file of the logo, from which we generated a cutting path for our CNC router. The shapes were cut from 1/2″ sintra. The other cool part of this job was that it was done in a hurry. They called late in the day yesterday, we are shipping the job today. Rush job is us! This entry was posted in die cut signs and tagged computer cut plastic, computer cut shapes, cut out plastic shapes. Bookmark the permalink.